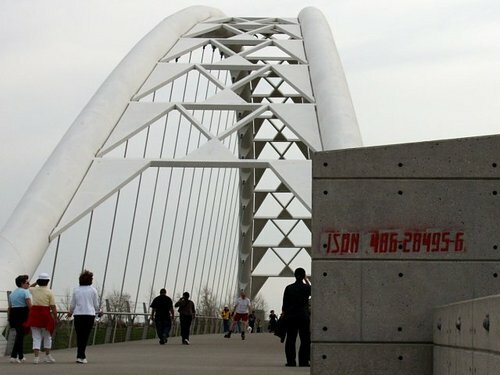 “This year, a more cryptic stencil has appeared on the Humber Bay Arch Bridge, boldly proclaiming “ISBN 486-28495-6” for all to see and ponder. This International Standard Book Number turns out to be a paperback edition of Henry David Thoreau’s Walden; Or, Life in the Woods. From Marc Schillers excellent Woostercollective blog, 29 April 2008. Now awaiting some sort of explanation! This entry was posted in comment and tagged Henry Thoreau on April 29, 2008 by martin brown.